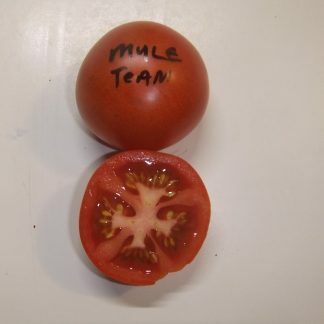 Mule Team: This tomato can deliver some giants well over 1 pound. 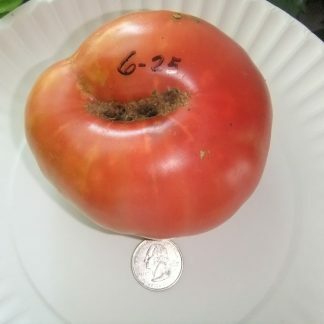 Definitely a true indeterminate, it will produce lots of large, round, red beefsteak tomatoes. 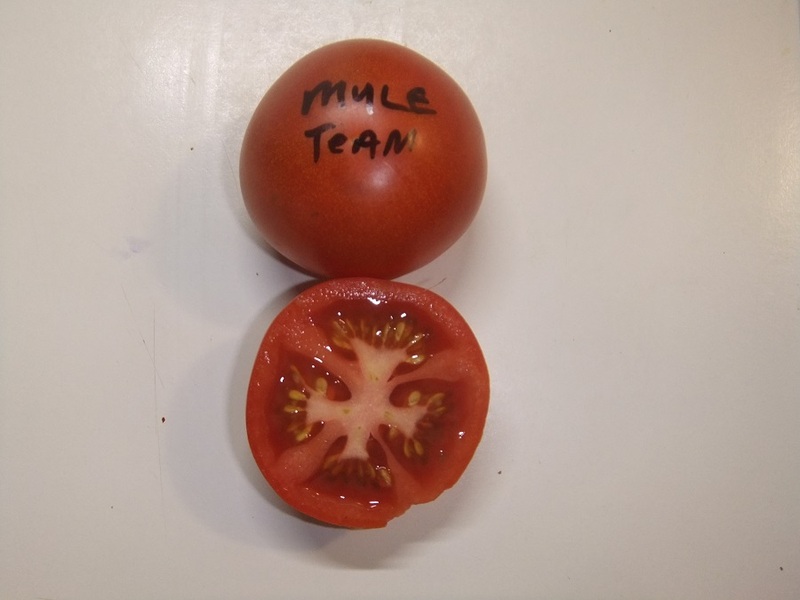 Juicy and meaty, it has a full, complex flavor with a touch of slight sweetness in the finish. 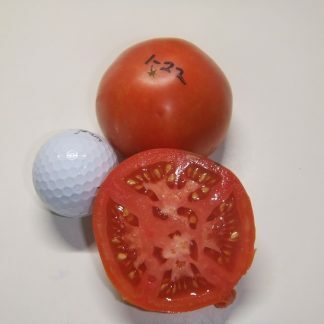 I think it makes great tomato juice and is also a great choice for those sandwiches. 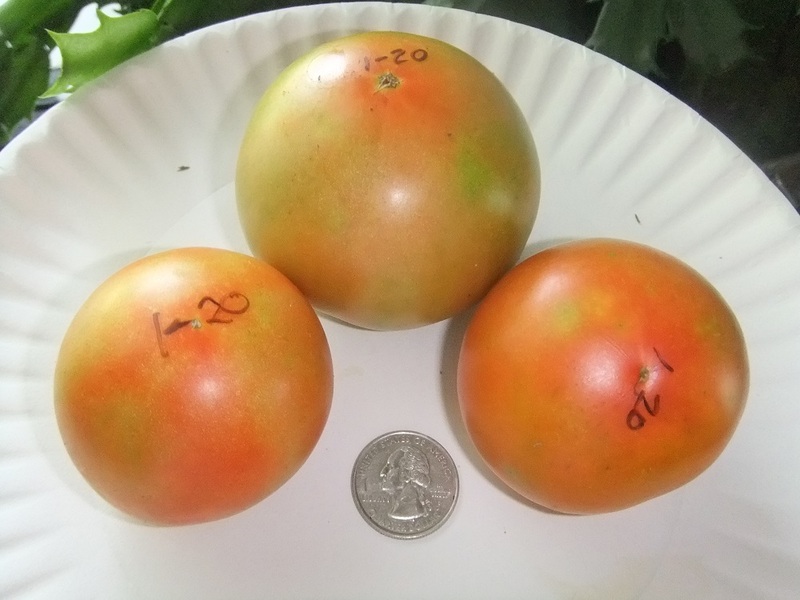 Average size has been 8-12 oz’s with a few larger ones.